Further lashing out at BJP, Yadav said the saffron party could only talk about development but their election campaigns have always been about caste and religion. 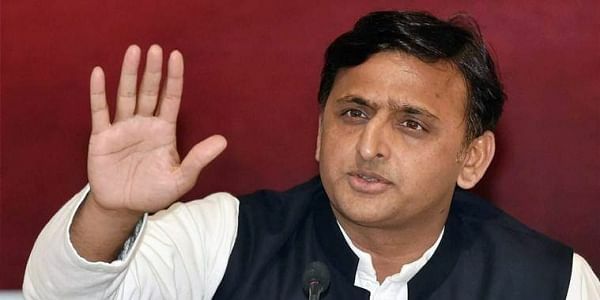 LUCKNOW: Former Uttar Pradesh chief minister Akhilesh Yadav on Tuesday slammed Bharatiya Janata Party (BJP) over the Gujarat elections verdict and said the saffron party has made a narrow escape on their win, adding that a little more conversion of anger into votes could have changed the result. “BJP’s (election) campaigns are always about caste and religion. It is only on these two bases that they win votes. During the Uttar Pradesh election too, they won it on caste and religion and not ‘vikas’ (Development),” the Samajwadi Party leader said. Despite Congress' defeat, Yadav lauded the party for stringing alliance with Patidar, OBC, and Dalit leaders – Hardik Patel, Alpesh Thakore and Jigesh Mevani. He also urged Congress to counter BJP in 2019 Lok Sabha elections by repeating this strategy at national level and thereby forming alliances with all regional stakeholders. In Gujarat, the BJP continued its winning streak by bagging 99 out of 182 seats in the state assembly while, in Himachal Pradesh, the party overthrew Congress from the government by claiming 44 out of 68 seats.